After many highs and lows the readers and I have experienced in this series, tonight‘s game is for all the marbles. The key for the Heat tonight is getting production from someone other than Lebron. If they get this, the Pacers will have trouble keeping this close. 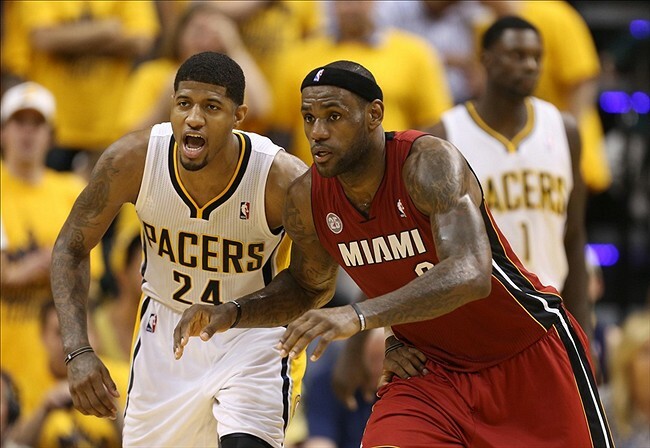 For the Pacers, as its been the whole series, keep the defensive pressure up and play consistent and confidently. If they do this they will take the throne of the new top dog of the East. From a Vegas standpoint, I believe this game will be closer than 7 and until the Heat can show me there big 3 is truly still a “big 3” all-star lineup, I can’t give the points. TheCover4.com is not an online gambling operator, or a gambling site of any kind. We are simply here to provide information about sports betting for entertainment purposes only. All information regarding gambling is intended to be purely educational from an academic perspective, and not to actually encourage gambling. We are in no way condoning gambling and are not affiliated with any and all casinos/sports books mentioned.